On-Farm Produce Standards Rule: Creates requirements for every aspect of growing and harvesting fruits, vegetables, and nuts. Download the FDA document. Preventative Controls / HARPC Rule: Requires businesses (including farms) that pack, store, or process foods to do hazard analysis and risk-based preventative control (HARPC) plans. 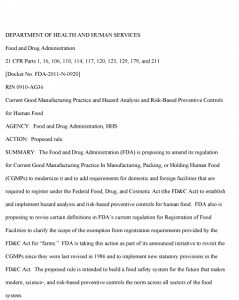 Download the FDA document. The requirements of FSMA apply to foods within the FDA’s jurisdiction: fruits, vegetables, nuts, dairy, and all sorts of processed foods. FSMA does not address foods within USDA’s jurisdiction, namely meats. It is important to realize that these are proposed rules and nothing is final yet. 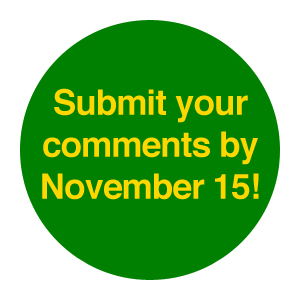 The FDA is accepting public comments until November 22, 2013. It’s vital that everyone who is concerned with the survival of sustainable agriculture and the local food movement submit comments and contact their legislators to urge Congress to limit the agency’s power. 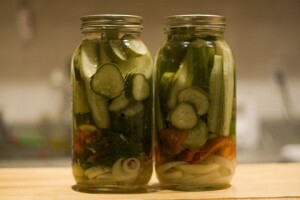 This newsletter contains three articles on the food safety regulations. Some of the information, particularly on the produce safety rules, can be dense and difficult to wade through. Please understand that this is an attempt to take over 1,200 pages of material from FDA and distill it into something useful for our members. If you are a consumer, feel free to just skim the articles and focus on the sample letter for submitting comments to FDA. We urge our farmer and food producer members, however, to take the time to go through the in-depth materials and submit comments that mention the specific problems these rules would cause for your business. To increase your impact, send a copy of your comments to your U.S. Representative and Senators, and urge them to take action to rein in the FDA. 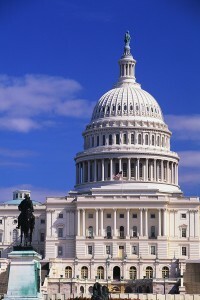 We have a sample set of comments and more information on contacting your legislators at the end of this article. Farmers who qualify will not have to comply with the on-farm produce safety standards. Food processors who qualify will not have to develop a HARPC plan. FARFA helped lead the national coalition that succeeded in passing this provision. The exemption protects vulnerable, small-scale farmers and food businesses from burdensome new regulations and is vital to the survival of the local foods movement. At the same time, the Tester-Hagan exemption does not solve all of the problems with FSMA. First, as discussed below, there are problems with FDA’s implementation of the exemption. Second, there are many good farmers and food producers who do not have access to direct markets or who sell more than $500,000 annually, but who are not big enough to absorb the costs that will be imposed by the FDA’s proposed rules. Thus, it’s still important to understand the substantive issues with the proposed rules. The first problem with the implementation of the Tester-Hagan exemption is that FDA’s definition of food includes all food sold by the farmer or food processor. As a result, sales of meat, grains, or animal feed will all be counted toward the $500,000 gross sales limit, even though these products are not regulated under FSMA. Therefore, for example, a grass-fed beef producer with a small orchard who sells $500,000 in beef and $10,000 of fruit annually will be subject all of the new FSMA requirements for growing and harvesting produce, because the combined gross sales exceed $500,000. This interpretation effectively forces mid-size grain and livestock farmers to avoid diversification, harming farmers financially and discouraging environmentally responsible land use. Moreover, from a food safety standpoint, it does not make sense to treat the small-scale production of fruits and vegetables the same as large-scale production, simply because the same person is producing other types of food as well. The second problem is with FDA’s ability to revoke the amendment on specific farms and food producers. Unfortunately, in the final negotiations on the Tester-Hagan amendment, Congress included a provision that allows the FDA to revoke the exemption under certain conditions. The revocation must be done on a case-by-case basis; in other words, the FDA can revoke the exemption on Farm A, but cannot revoke the exemption on all the farms in the country or in a state. Although limited to targeting individual farms, the FDA’s proposed rules implementing this provision are deeply concerning because FDA claims authority to revoke a farmer’s or processor’s Tester-Hagan exemption based almost entirely on the officials’ discretion. 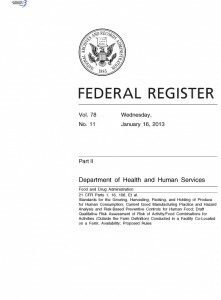 If an FDA official decides that a farm or processor is connected to a foodborne illness outbreak, or that revocation is “necessary” to “protect the public health and prevent or mitigate a foodborne illness outbreak based on conduct or conditions associated” with the farm or processor, the official can issue a letter revoking the exemption. The farmer or processor has only 10 days to respond to the FDA’s actions, including collecting all of the evidence that supports a continued exemption; no other information can be provided after those 10 days. An FDA hearing officer then gets to decide whether or not to hold a hearing. If the hearing officer agrees with the decision to revoke the exemption, the producer has only 60 days from the date of the original letter from the FDA revoking the exemption to come into full compliance with all the newly applicable regulations. In contrast, large-scale industrial farms have two years to initially come into full compliance. While the producer may appeal the decision to a court, many appeals will be meaningless because the producer will have to comply with all of the regulations during the litigation, which would most likely put them out of business before their appeal is ever heard by the court. The number of farms targeted this way by the FDA is likely to be small, but it will be devastating for those affected. And the uncertainty of not knowing who might be the agency’s next target will have a chilling effect on many small producers, unless the FDA changes its proposal to comply with the spirit as well as the letter of the Tester-Hagan provision. For farmers who don’t qualify for the Tester-Hagan exemption or whose exemption is revoked, the proposed produce safety rules cover every aspect of growing and harvesting crops, including worker training, hygiene, domestic livestock, wildlife, and buildings and equipment. The agency has failed to provide a sound scientific basis for many of the requirements, choosing instead to take an extremely risk-averse approach. Farmers are allowed to establish alternatives for some of the requirements, such as those dealing with biological soil amendments and water, but only after going through the expense of conducting or finding research and testing. In other words, in many cases, the farmers must do the FDA’s job in order to continue using farming methods that have been used for decades or even centuries. All of these provisions carry record keeping requirements. The sheer volume of records that will need to be maintained will swamp many small and mid-size farmers. Such farmers do not have administrative staff to handle paperwork, nor do they have the time to manage extensive paperwork in addition to the long hours involved in farming. The proposed rules repeatedly use phrases such as “appropriate measures,” “minimize the risk,” “periodically,” and “reason to believe.” These terms are ambiguous. In practice, farmers will be subject to fines if a field inspector has a different interpretation, even if that farmer has taken good faith steps to comply with the law. Thus, the proposed rule creates significant uncertainty and risk for producers. Substantively, two sections of the proposed rule appear to pose the greatest problems for farmers: the requirements relating to biological soil amendments and water. The section on domestic livestock and wildlife also has significant potential to cause problems for diversified and sustainable farmers. The proposed regulation on biological soil amendments poses one of the greatest threats to sustainable producers. The use of a wide range of biological soil amendments, from manure to different types of compost, is integral to raising produce with chemical-free methods. While producers in some parts of the country have reasonable access to vegetation-based composts (which will not be strictly regulated under the proposed rules), animal-product-based composts are the primary option for sustainable producers in large parts of the country. In the preamble to the proposed rule, the agency recognizes that the risk of pathogens may be different in a diversified system with competitive microflora, as compared to a chemical system with little diversity. The agency’s proposed rule, however, entirely fails to take this fact into account and views all microbiology as a risk. Even fully treated compost requires a 45-day waiting period between application and harvest. For untreated compost (raw manure or partially composted materials), the FDA requires a 9-month waiting period between application and harvest. This significantly limits, if not destroys, farmers’ ability to use manure as part of growing crops. Yet manure is a proven low-risk fertilizer on organic farms. USDA’s regulations for certified organic producers allow farms to use raw manure for fertilizer if it is applied three to four months prior to crop harvest (depending on the method of application), and there have been no reported outbreaks due to this practice, to our knowledge. Any compost that does not meet the precise methods and testing requirements specified in the rule. The practical effect of the proposed rule is to allow synthetic chemicals to be easily used, while making the use of many natural soil amendments difficult or even impossible for many farmers. Treats the water according to the water treatment requirements (see below). No detectible E. coli present per 100 ml of water: This standard would apply to water used for an activity during and after harvest, water used to make agricultural teas, and water used in sprout irrigation. No more than 235 colony forming units (CFUs) generic E. coli per 100 ml for a single water sample, and a rolling geometric mean of five samples of no more than 126 CFU per 100 ml: This standard would apply to water used for growing activities that directly contact the harvestable portion of the crop. If the untreated surface water is from a source where a “significant quantity of runoff” is likely to drain into it (e.g., a river or lake), then a farmer must test the water at least every seven days during the growing season. If the untreated surface water is from a source where underground aquifer water is transferred to a surface water containment in a way that minimizes runoff drainage into the containment (e.g., on-farm constructed water reservoir), then a farmer must test the water at least once each month during the growing season. For areas such as Texas and the south, the growing season can extend throughout the year, requiring 52 water tests each year if surface water is used. Since the testing must be done at an approved lab, the cost of the test would be increased by the expense and inconvenience of shipping the samples or driving significant distances each week to take the samples to the nearest accredited lab. The cost of such testing would be several thousand dollars per year for each water source used. It would be logical to allow the frequency of testing to be reduced if the water source consistently meets the standards during some initial period of time. Yet the proposed rules make no such provision, requiring weekly testing forever, with no end, for surface water. For other water sources, such as ground water, FDA is proposing that farmers test at the beginning of each growing season, and every three months thereafter during the growing season. The proposed rules require that the farmer “immediately discontinue” the use of a source of water if it does not meet the tests for generic E. coli. If the problem cannot be addressed through changes to the water system, the farmer would be required to treat the water with an antimicrobial compound. Any chemical used to treat water would need to be registered with the Environmental Protection Agency and – as FDA acknowledges – no chemicals have been approved for such use! FDA assumes that this issue will be addressed and a new registered product created before farmers must comply with the water standards. If not, farmers would be forced to either stop irrigating or find alternative water sources (which may or may not be possible). The likelihood of hazards being introduced in the water by a farm upstream. The standards for domestic and wild animals provide extreme discretion to FDA inspectors and officials, and leave farmers largely guessing as to what they have to do to comply. For example, if there is a reasonable probability that domesticated animals that graze in fields will contaminate covered produce, then the proposed standards require an “adequate waiting period” between grazing and harvest. The regulations do not specify a length of time that FDA considers an adequate waiting period, but the preamble to the regulations states that FDA “would not expect” the waiting period to exceed nine months; this is the same interval that FDA proposes between the application of raw manure and harvest, and it effectively forces a farmer to abandon using that section of his property for the growing season. Yet the FDA gives no guidance as to what shorter period may be acceptable. Similarly, if there is a reasonable probability that working animals will contaminate covered produce, then FDA requires a farmer to take “measures” to prevent the introduction of foreseeable hazards such as animal feces, but the agency does not specify what those measures would be. The FDA is clearly trying to avoid the criticisms that have been leveled at the Leafy Green Marketing Agreement. In the preamble, the agency states that it does “not intend for proposed §112.11 to suggest that you would need to take measures to exclude animals from outdoor growing areas, to destroy animal habitats near your outdoor growing areas, to clear farm borders around outdoor growing areas or drainages, or to take any action that would violate applicable environmental laws or regulations.” Yet nowhere does FDA explain what measures the farmers should take to meet the vague standards in the proposed rule, and it would be difficult to comply with a strict interpretation of those standards without taking at least some such measures. Among other issues, the rules fail to recognize a critical distinction between machine harvesting crops and hand harvesting them. A machine cannot discriminate between a live animal, animal feces, and a vegetable plant; as a result, the presence of livestock or wildlife on large-scale farms that use machine harvesting poses a significantly different level of risk than on a small-scale farm that uses hand labor. Combined with the proposed rule on animal-based soil amendments, this section poses significant problems for diversified farms that integrate produce and animal production, a key part of which is adding animal excreta to the soil. These diversified farms are efficient, both biologically and economically, yet they would be hard-pressed to comply with the proposed rules. Even ignoring the out-of-pocket expense, many of their methods simply could not be brought into compliance. These farms have not been shown to pose a high risk of foodborne illnesses in practice, and they are being penalized based on fear-based assumptions rather than data. Until the 1950s, most farms in the U.S. were diversified small farms that had both livestock and crop production. Yet the agency ignores the proven track record of this type of farming, creating damaging limitations on the presence of both domestic livestock and wildlife on the farm. FDA estimated that the benefits from the produce safety rule would be over $1 billion. In making this claim, however, the FDA significantly overestimated the number of foodborne illnesses attributed to produce. The FDA relied heavily on a single study that developed a multiplier to try to account for the number of foodborne illnesses that occur each year but are not reported. Yet FDA then used that multiplier in a way that was inconsistent with the study, further inflating the estimates. It is important to recognize how speculative all of these multipliers are. In the time period examined by FDA, there were only 4,293 illnesses actually reported from raw produce other than sprouts. FDA’s series of assumptions led to an estimate of 2,314,715 illnesses from such products. In other words, FDA estimated that there were more than five hundred times as many unreported illnesses as there are reported illnesses. Only with this extreme guesswork was FDA able to claim significant benefits from the proposed rule. The actual costs are likely to be much greater, as explained next. The FDA severely underestimates the costs of the rule by assuming that small and very small farms (under $500,000 per year) only operate for 3 months per year, and only harvest, pack, or hold produce for 45 days out of the year; the agency estimates that large farms (over $500,000 per year) operate only 6 months per year and harvest, pack, or hold produce only 90 days. This is simply false for many farms in many parts of the country. With respect to the costs of the new limitations on the use of manure, compost teas, and composts, the FDA assumes that the cost is nothing more than switching to purchasing treated compost, since that is the “minimum cost alternative.” Yet what if the treated compost that is available in the area is of poor quality? What if the farmer uses compost teas for foliar applications, which is impossible to do with compost? The costs that are imposed by the restrictions on biological soil amendments are far more complex and far-reaching than is reflected by FDA’s analysis. With respect to the provisions for agricultural water, the FDA’s cost estimates appear to be based on wishful thinking. There are no antimicrobials currently approved for treating agricultural water, which means it would be impossible for farmers to treat their irrigation water currently in a way that complies with the regulations. The FDA is simply assuming that there will be treatment options developed and approved by EPA before the rules go into effect. If not, the FDA acknowledges that farmers who rely on water that does not meet the standards will have to stop irrigating or buy water from public water supplies, although the agency’s cost estimates do not address the high cost of these outcomes. FDA’s over-estimate of the benefits and under-estimate of the costs of the proposed rules means that the costs of the rule will exceed any benefits. Moreover, there will be significant indirect costs, in the form of discouraging new farmers, as well as favoring chemical methods of agriculture over sustainable methods. The restrictions on biological soil amendments, alone, could force sustainable farmers who are not protected by the Tester-Hagan exemption to switch to chemicals or go out of business. As with the produce safety rule, producers who sell less than $500,000 of food annually and who sell more than half of that directly to consumers or local restaurants and retailers are exempt from the Preventative Controls requirements under the Tester-Hagan amendment. Even under the Tester-Hagan exemption, though, processors will still have to register with the FDA (which was required even before FSMA, under the 2002 Bioterrorism Act), and provide documentation that they are complying with any applicable state and local laws. The documentation could be as simple as sending in a copy of one’s commercial kitchen license or mobile food vending permit. In addition, “retail food establishments,” defined as businesses that sell 100% directly to consumers, are also exempt. The FDA is proposing an additional exemption for “very small businesses,” and is considering three possible definitions of this term: gross annual sales of under $250,000, under $500,000, or under $1 million. For processors who don’t qualify for the exemption or whose exemption is revoked, the Preventative Controls rule requires that any business that packs, holds, processes, or manufactures food creates a hazard analysis and risk-based preventative control (HARPC) plan. This encompasses a large number of low-risk activities that farms, food hubs, and cooperative produce distributors normally conduct, such as packing fruits and vegetables, milling grains, and making maple or sorghum syrups. A few, very limited on-farm post-harvest activities are exempt, but only on the farm’s own produce. All sorts of “food hubs” that distribute food from multiple local producers. In effect, FDA treats a legal event—the change in the possession of a crop—as a safety hazard, despite all scientific evidence to the contrary. In addition, even many low-risk activities conducted by a farm on its own produce would be subject to the rule, such as dehydrating fruits and vegetables or making jam. Estimates of the costs of such plans indicate that they can cost thousands of dollars, up to $20,000, for a small operation in the first year. The rule then requires annual “verification” that the plan is working, with records of this verification process and its findings. The scope and complexity of the paperwork that will be required is daunting for both on-farm and off-farm processors. In the early 1990s, similar HACCP requirements led to many small- and mid-scale slaughterhouses having to shut their doors. The FDA’s proposed rule has the potential to put an end to many of the exciting innovations taking place right now with local food hubs, community processing facilities, and the other infrastructure so vital to re-establishing local food systems. An additional concern is that the proposed rule references “supplier verification” as an element of a food safety program. Given how some state regulations have already been applied, this could mean that a regulated facility would not be able to purchase food or ingredients from farms and facilities that are exempt from some federal regulations (such as those protected by the Tester-Hagan exemption). Thus, for example, a food hub with gross sales of more than $1 million might find itself unable to source produce from small, local farms. The Preventative Controls rule does not require this, but it does lay the foundation for such a step. At the end of this alert is a sample letter on the FDA’s proposed rules. 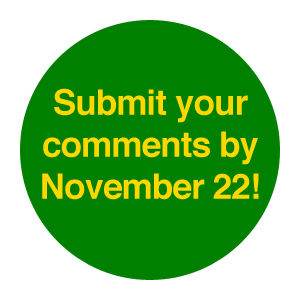 Comments must be received by the agency by Friday, November 22, 2013. Uncheck the box that says “I am submitting on behalf of a third party,” so that you do not have to enter an organization name. Check the box that you have read and understood the statement, and be sure to click “submit comment.” You should be taken to a new screen with a confirmation number. Remember that the Tester-Hagan provision is found in both rules, so if you file comments online, be sure to submit them on both rules. It is VERY important to personalize your comments! We’ve included some questions in italics below, to help you think about some of the comments you can make about the specific impact on you. It is vital that your elected officials know how you feel about your food! Call and ask to speak to the staffer who handles agricultural issues. Explain that you’re a constituent and that high-quality food is very important to you. Ask your Congressman to contact FDA directly on behalf of you and other constituents. Get the staffer’s email address and follow up by sending them a copy of your comments to FDA. The italicized portions at the beginning are intended to help you personalize your comments. You don’t have to write a lot – even a couple of sentences can really increase the impact your comments will have! I am a ______ [farmer, food producer, consumer, parent…]. I am deeply concerned about the impact that FDA’s proposed rules under FSMA would have on [my farm, my food business, the farms that I buy food from…]. For consumers, do you make an effort to buy from farms that use sustainable practices? Why do you care about these rules? Just a sentence or two is sufficient to explain. 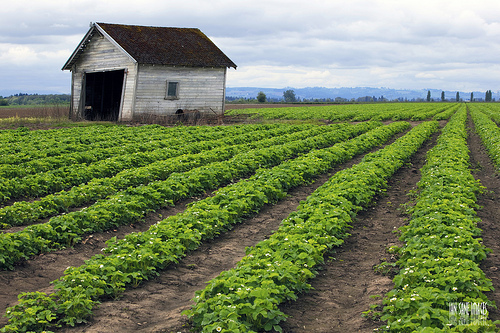 If you are a farmer, explain your farm practices that would be impacted by the rule. Do you use manure, vermicompost, or compost teas? Do you use surface water or multiple different water sources? Do you do rotational grazing of your livestock with your crops, or use draft horses? Do you have a CSA that involves more than one farm and would thus be required to do a HARPC plan? Do you do low-risk activities, such as bottling honey, grinding grains, or making jam? Do you have staff who could handle the HARPC paperwork or would you need to hire new people? For food processors or food hubs, could you absorb the cost of writing a HARPC plan? Do you rely on supplies from farms that would be exempt under the Tester-Hagan provision? 1. The gross sales test to qualify for the Tester-Hagan provision should be based on sales of food that is subject to FSMA, whether the produce standards or the preventive controls rule. Sales of food that would not be regulated under FSMA should not be included. 2. The FDA should not rush the process of revoking a producer’s Tester-Hagan exemption. The agency has other mechanisms it can use if there is an immediate threat of foodborne illness. a) The FDA should be held to specific evidentiary standards before it can revoke a farmer’s or food facility’s Tester-Hagan exemption. b) A farm or facility that is exempt under Tester-Hagan should be given at least 90 days to submit evidence and defend its exemption if FDA seeks to revoke it. c) If the exemption is revoked, the farm or facility should have at least two years to come into compliance with the FSMA rules. 1. The FDA’s approach to traditional farming methods, such as diversified livestock-crop farms, the use of working animals, and the use of biological soil amendments, is fundamentally flawed. The agency should not restrict these sustainable methods of farming without data showing an actual, verified increased rate of foodborne illness; the simple fact that these methods include diverse microbiological communities is not a sound scientific basis for restricting them. 2. The waiting period between applying manure and harvesting the crop should be no more than 4 months, and there should be no waiting period between applying compost and harvesting the crop. The excellent track record for safety on organic farms shows that this standard is sufficient. 3. Compost teas and other biological inoculants, including normal additives such as molasses, should be treated the same as compost. 4. Water testing should not be required more often than once a month, and farmers should be able to test less frequently after establishing the safety of their water source through consecutive negative tests. In addition, farmers should be given the option to test for pathogens, rather than having to treat or stop using the water that tested positive for generic e. coli. 5. The provisions on wildlife and domestic livestock need to be clarified to protect farmers who use biologically diverse farming from field inspectors using their discretion to require measures such as fencing or destruction of habitat. 1. “Very small facilities” should be defined as being under $1 million in total annual sales, adjusted for inflation. Imposing HARPC requirements on businesses smaller than that is unnecessary and overly burdensome. 2. Any requirement for “supplier verification” should not prevent a facility from purchasing foods or ingredients from farms and facilities that are exempt from the regulations under the Tester-Hagan provision or other exemptions. 3. Low-risk activities conducted by a farm using its own products or using other farms’ products, such as making jams, grinding grains, or dehydrating vegetables, should not be subject to any of these regulations, including both the HARPC requirements and the good manufacturing requirements. The exemption should apply regardless of the size of the farm. 4. Low-risk activities, when conducted off-farm, should not be subject to the same requirements as high-risk processing activities. The requirements should address both the scale of the operations and the level of risk of the activity.